About - Rustique Rentals and Event Design | Boise Vintage Wedding Rentals, Planning and Photography Props! Hi, I'm Jennifer - it's great to meet you! Welcome! We are an Idaho based company providing Custom-Made & Vintage Furniture Rentals and Decor for Weddings and Special Events. Along with our unique furnishings, we offer wedding design & several styling packages to fit your own personal needs. 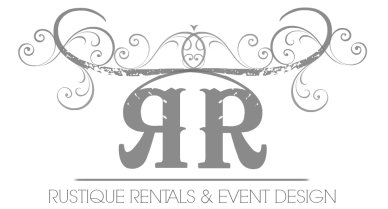 Rustique Rentals & Event Design was founded in 2015 in addition to my furniture/home decor business, Rustique Restoration. Each of our pieces are truly one of a kind, re-telling stories from their past, and creating new memories in your very own story! Have fun as you browse our gorgeous Inventory. I have been blessed with the most amazing family ever! My husband is so supportive of my creative side, and is always encouraging me to follow my dreams. We have three beautiful daughters who keep us busy and bless our life! Our family loves to have fun outdoors, go on adventures together and play cards! We've been a little obsessed with card games lately ;) This past summer, my dreams came true and we moved into a 110 year old farmhouse! Our family has been working hard and having a blast playing on the land and making it our own. And the huge wood shop isn't bad either! Thank you for getting to know us a little better! A wedding is meant to be a sacred moment between two people joining their lives together and becoming one with God as their center. What a beautiful testimony of love! We strive to give you a beautiful, intimate wedding day experience, free from the chaos and stress of worrying about the details. Fill out our Contact Form on our Let's Chat page to start planning for your special day! I founded Rustique Restoration in 2013 when I realized my love of refinishing and building had turned into more than just a hobby. I love all things farmhouse and vintage, and Rustique Restoration has allowed me to pursue my passion for creating and restoring. Another blessing in my life. Please feel free to check out my Blog and Facebook page to see what I've been up to. Are you ready to start planning your wedding/special event? Contact Us to setup a FREE Consultation. I Look forward to meeting you in person! © COPYRIGHT 2015 BY RUSTIQUE RENTALS & EVENT DESIGN. ALL RIGHTS RESERVED.